With the Pop-Up Lightbox, it’ll function like the In-Page Lightbox at first, but when you click on a slide, a light-box will pop-up and you’ll be able to navigate through all of your slides. 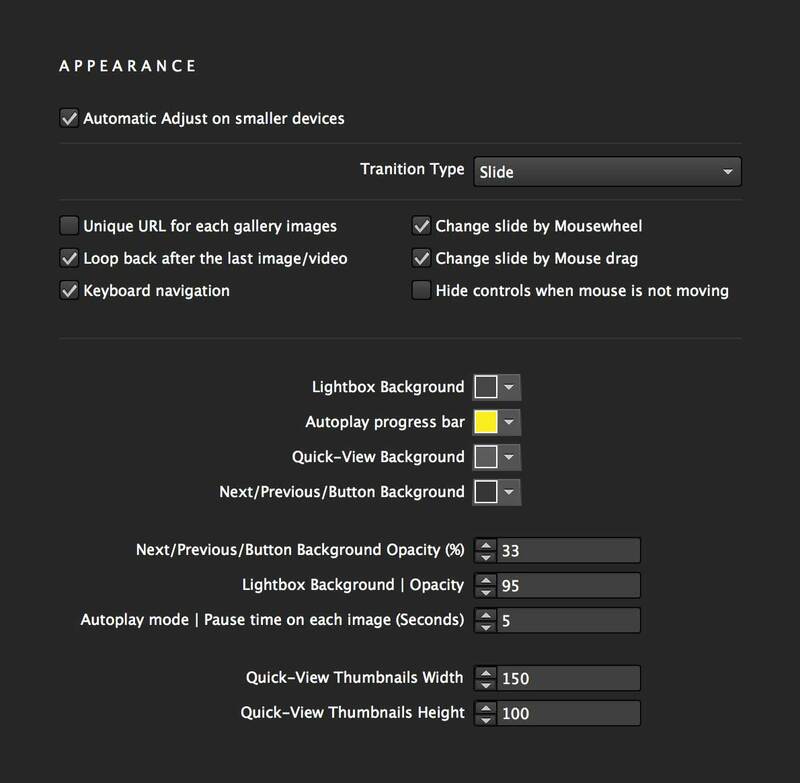 Checking this box will automatically adjust the Pop-Up Lightbox for smaller devices. The size of the breakpoint for smaller devices can be specified in the Main Settings. 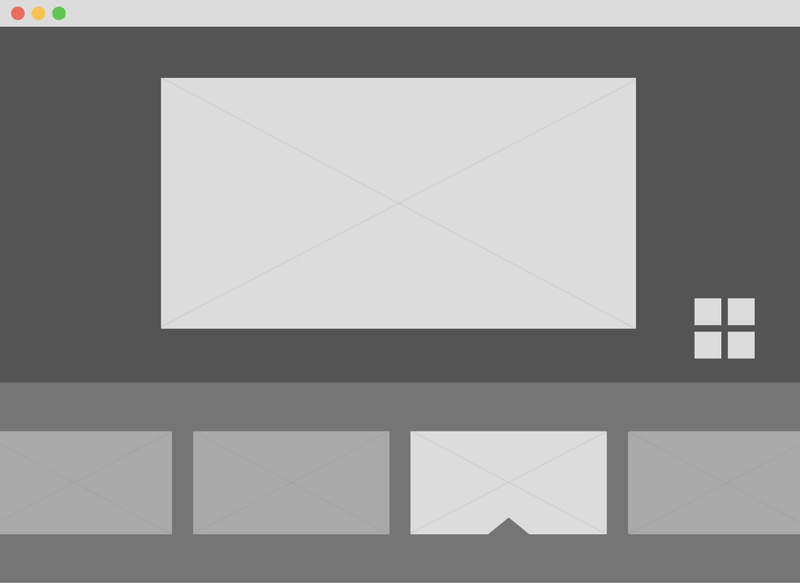 You can choose between nine different transition types for your lightbox. You can choose to have a unique URL for each gallery image. Having a unique URL for each gallery image will allow you to link directly to that specific image. Unique URLs makes it easy to share specific images with others. Selecting this will display the first image/video after the last image/video. Navigate through the Pop-Up Lightbox with the left and right arrow keys on your keyboard. Checking this enables users to change the slide by moving the mousewheel. 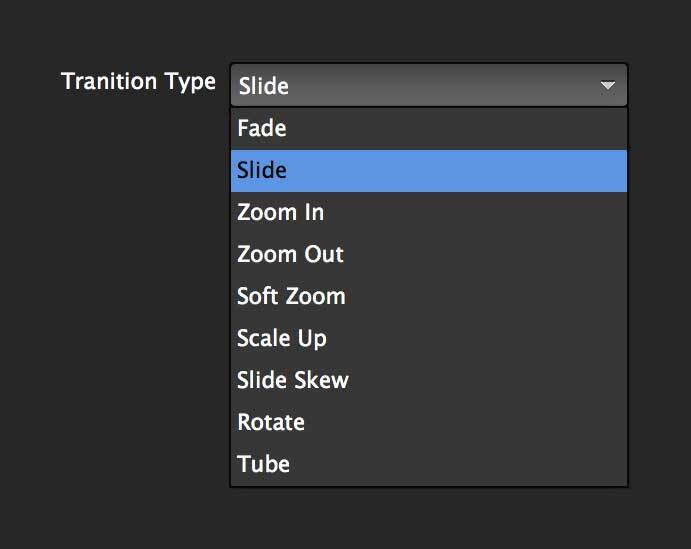 Checking this enables users to change the slide by dragging it with their mouse. Quick-View creates a thumbnail overview of your slides that displays at the bottom of the Pop-Up Lightbox. Clicking on the grid icon at the bottom right of the screen opens and closes Quick-View. You can navigate through your different slides by clicking on the different thumbnails. The background color of Quick-View can be set here. You can specify the width and height of the thumbnails that appear. Autoplay automatically plays the slides. You can choose to have the autoplay icon show up by checking the box under CONTROLS. 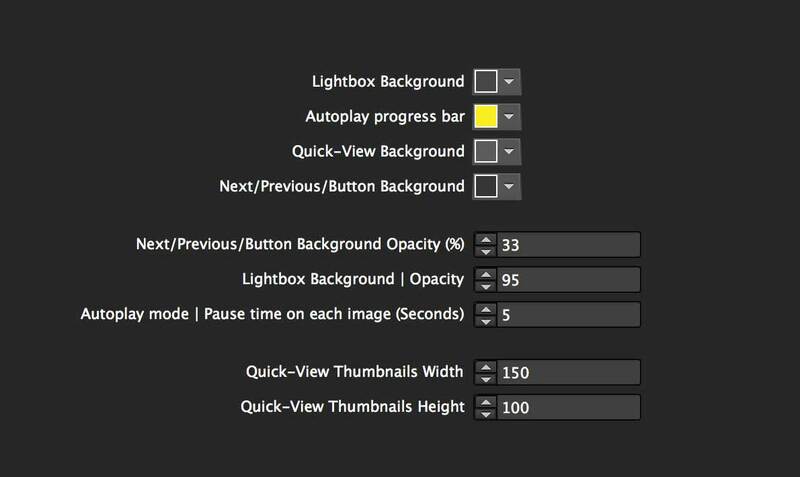 Autoplay progress bar: You can select the color of your progress bar. The progress bar shows how long the Lightbox will stay on the current slide. 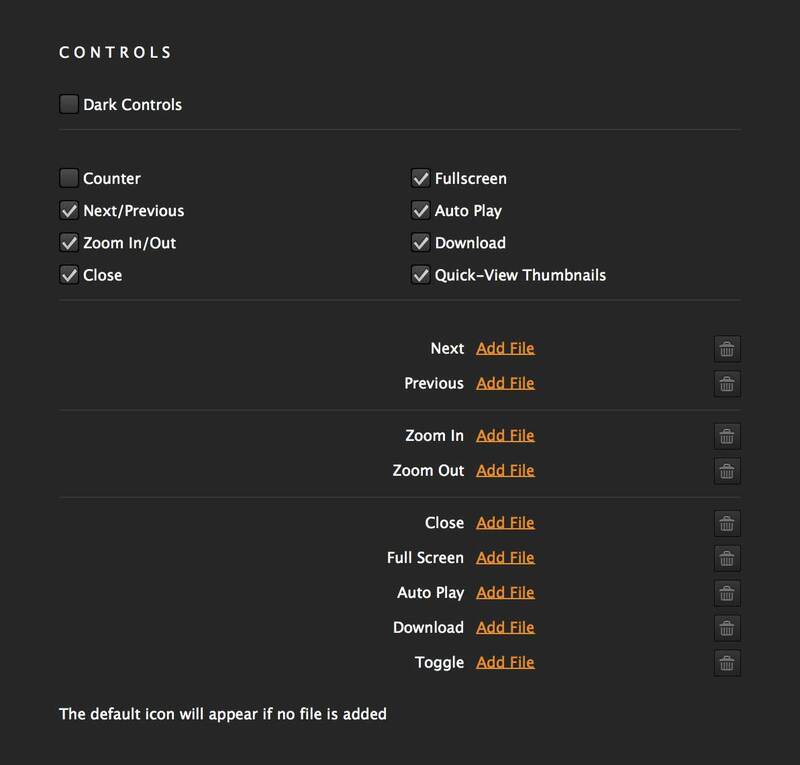 Enabling Dark Controls turns all the control icons dark. This is a good option for when you have light backgrounds. The counter indicates what slide number you’re currently on. Enabling this allows you to zoom in or out on slide images. Enable this to allow users to download slide images.